The Sunday Centre opens every Sunday from 1.30 to about 4.00. We offer a safe, welcoming place for people to come. We are a “walk up project” which means we take in all who turn up on the day, subject to some limited rules. We feed about 75 to 85 people every week. Some Guests are regulars and we’ve seen them for years. 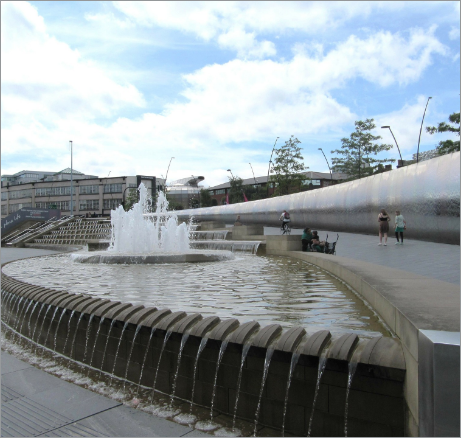 Some come just once or twice during a period of crisis or while passing through Sheffield. Only a few of our Guests are sleeping out, some Guests come to us because their benefits have been sanctioned and they have no money for food, others are recent arrivals in the UK from Eastern Europe or are asylum seekers. Around a third of our Guests are among those who spend much of their time in the city centre. Since our project started 25 years ago young people end up in this group – so the Guests I see now can be 18 to 25 and would have been young children when I started working with the Sunday Centre 13 or so years ago. We do see Guests who can recover from the circumstances and or crisis that they are in. We see them for a period of time but things improve from finding more suitable accommodation, their health issues have been addressed, any substance or alcohol misuse is under control, finances are stabilized and they are in work, or they are participating in some education and training. It’s also good to see positive relationships and family reconciliation. What needs to change is the lack of positive change for those Guests who are stuck in the “city centre” lifestyle and its related harmful and chaotic behaviours. We would want to see more positive outcomes for all our Guests. This is likely to follow access to and engagement with the appropriate support agencies and the complexity of need of many of our Guests often requires more than one agency to work together.